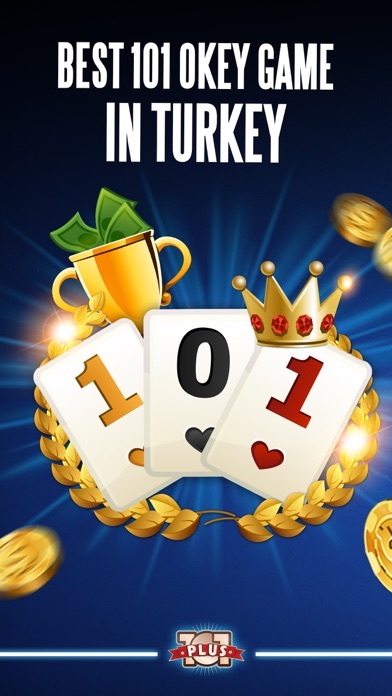 THE MOST POPULAR GAME IN TURKEY THE BEST OKEY 101 GAME EVER DOWNLOAD & START PLAYING NOW 101 YüzBir Okey Plus, played by over 1,000,000 Facebook users, is now on iPhone & iPad… And it’s FREE! - Enjoy the best Okey 101 game ever with 101 YüzBir Okey Plus. Play online via 3G, 4G, Edge or Wi-Fi with your friends or against more than 1,000,000 users; - See your online friends and join their games with a single click; - Meet new people by chatting with them while playing 101 YüzBir Okey; - Play as a guest without logging into your Facebook account; - Get thousands of FREE chips by downloading and logging in every day to have as much fun as you can with 101 YüzBir Okey! 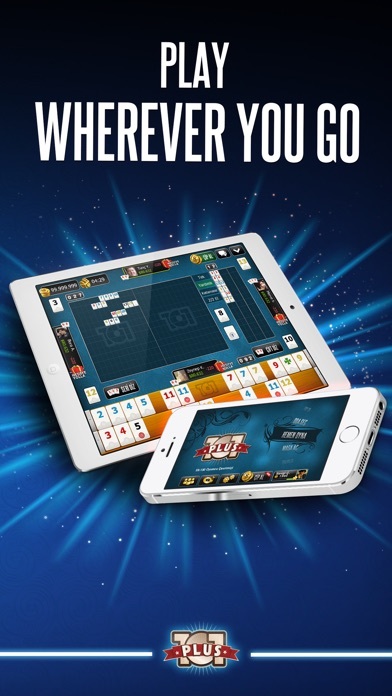 Your friends have already joined the exciting world of 101 YüzBir Okey Plus, the fastest & the most amazing Okey 101 game ever, played by millions of users– join them now! PLAY NOW - Click “Play Now” to join a random game room and start playing 101 YüzBir Okey within seconds. CHOOSE A GAME ROOM - Join a private game room consisting of players of the same level and become a 101 YüzBir Okey legend by playing every day. OPEN A GAME ROOM - If none of these options are for you, set your own bet amount and start your own game. 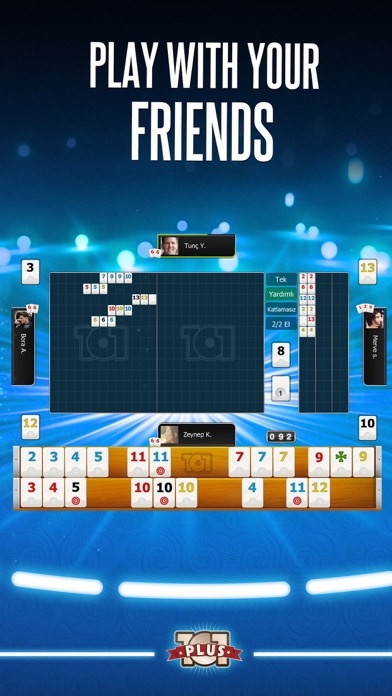 PLAY WITH YOUR FRIENDS - See your online friends on your friends list and join their games to play 101 YüzBir Okey together. ************* Encountered a problem or have an idea? 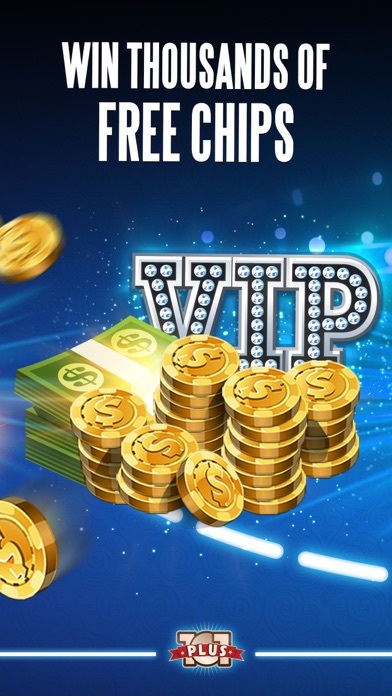 Contact us via zyngaturkey-support@zynga.com Stay up to date on news and improvements on: https://www.facebook.com/101okeyplus Additional information: • The game is free to play; however, in-app purchases are available for additional content and in-game currency. In-app purchases range from $0.99 to $99.99 USD. • Use of this application is governed by Zynga’s Terms of Service, found at www.zynga.com/legal/terms-of-service. ©2017 Zynga Inc.
İphone XS ekranına oyun küçük geliyor, tam oturmuyor ve oda seç bölümündeki seviye seçim kısmı altta olduğu için iPhone ana çubuğuna denk geliyor ve bu da sürekli farklı bir uygulamaya geçilmesine sebebiyet veriyor. Bu kadar aktif kullanılan bir oyunun en son cihaza göre de güncel olması gerekir. Umarım dikkate alınır.